S.J. 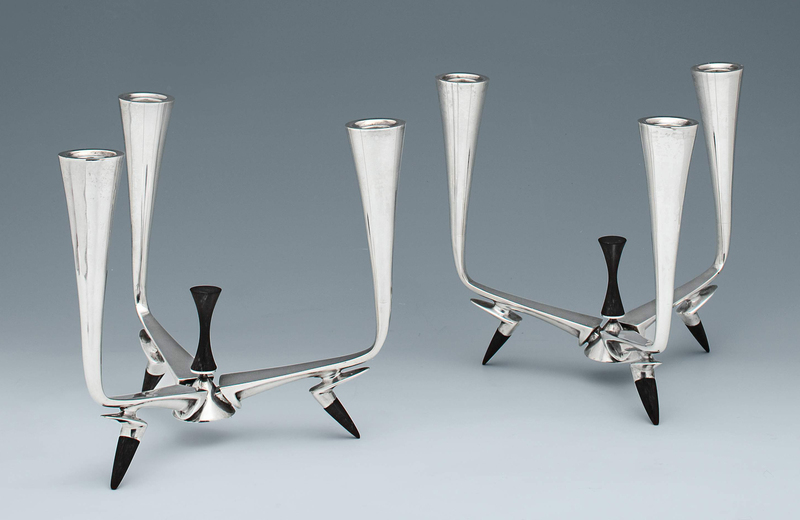 Shrubsole New York, NY 212-753-8920 inquiries@shrubsole.com A Pair of Modern American Silver "Circa 70" Pattern Candelabra Providence, RI 1960 by Gorham Mfg. Co. Width: 9 1/4” Stock Number: V8546 Designed by the American Donald Colflesh in 1958 and introduced by Gorham in 1960.